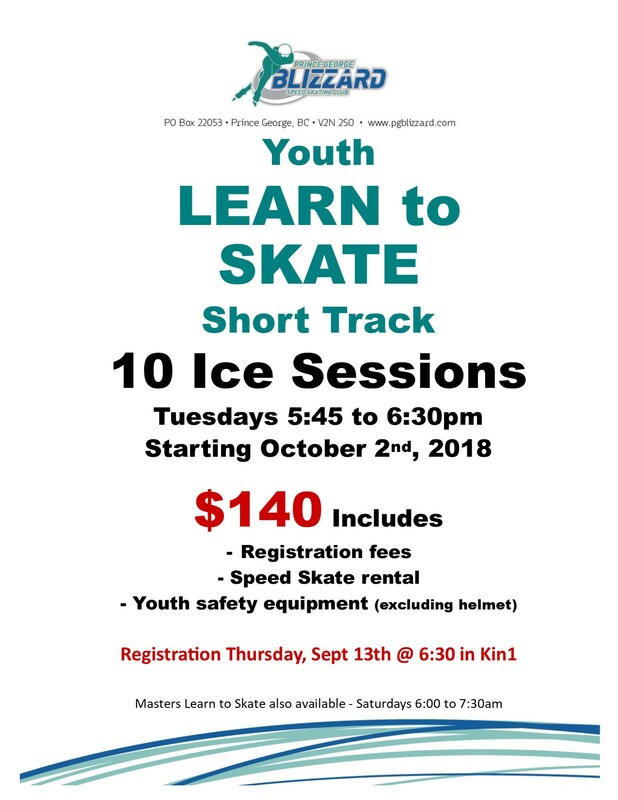 Registration Prince George Blizzard Speed Skating Club for the 2018/2019 speed skating season is still OPEN!!!! The PG Blizzard offers short track skating programs for beginner to elite skaters of all ages including Youth and Masters Learn to Skate. Questions about speed skating with the PG Blizzard? Contact us here.